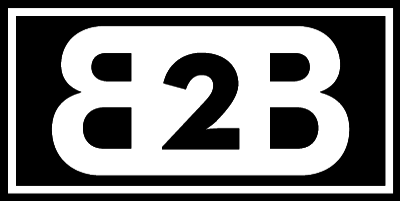 Welcome to the KAPZ B2B portal, where our trade customers can view and order their B2B KAPZ products in bulk. 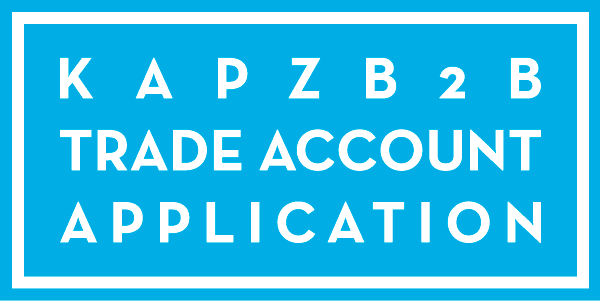 Should you wish to apply for a KAPZ B2B Trade Account, simply click this link . 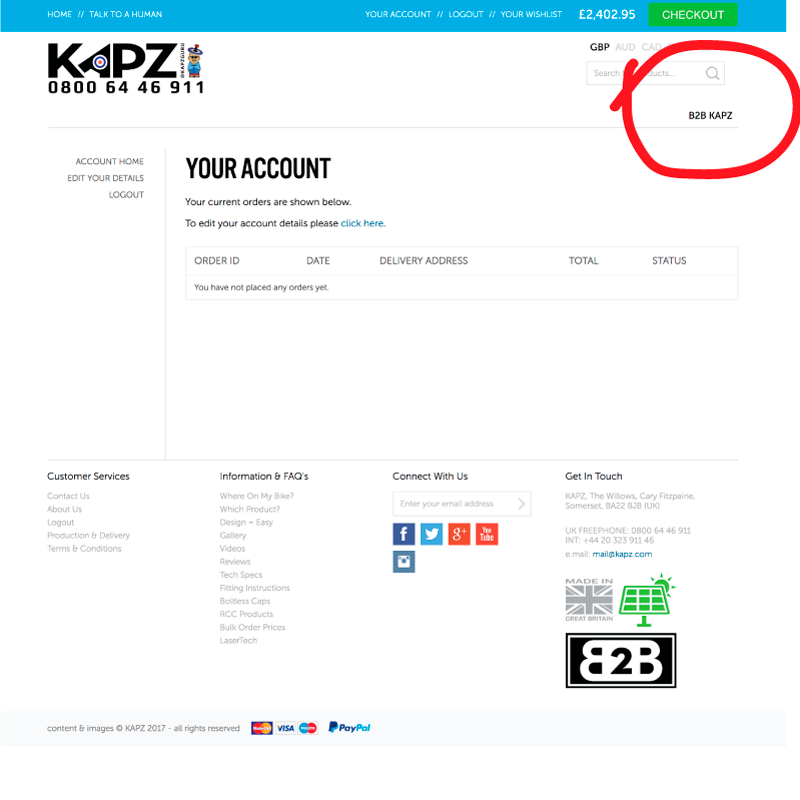 . .
To log in to your KAPZ B2B Trade Account - please click here . . .
Once you have logged in - you will see this screen - just click on the B2B category, circled in red and you are ready to go! If you need any help - get in touch and we will do our very best to help you!